If you ever find yourself at a Cinco De Mayo party, the next day you’ll probably end up with some amazing memories and a not-so-amazing hangover. But what do you know about the holiday? Did you know that the U.S. actually celebrates Cinco more than Mexico does? With the exception of the State of Puebla, the 5th of May is usually celebrated with theatrical reenactments and political speeches rather than the drunken blitz of L.A.’s famous celebrations. 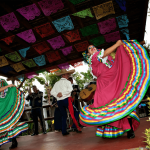 Cinco De Mayo is NOT Mexican Independence Day (that’s September 16th! ), it actually celebrates the fall of a corrupt government and the expulsion of foreign powers from Mexico, and it’s a historical day that people of all ages love to celebrate. It started after the excesses of Santana’s dictatorship and the effects of Mexico’s Reform War. Mexico was bankrupt, and Mexico’s president Benito Juárez broke the news to Europe that the country couldn’t repay any of its loans. Nobody thought that Europe would hightail it over to Mexico to demand repayment, but you know what they say about making assumptions. In 1862, the armies of Spain, England and France landed in Veracruz, determined to collect on their loans. After negotiating with Mexican representatives, however, cooler heads prevailed and Spain and England withdrew their armies. Napoleon III, Emperor of the Second French Empire, was not so easily appeased. He and France had other ideas… like establishing a French monarchy on Mexican soil and dissolving the Mexican constitutional government. Back up their intentions, 5,000 to 7,000 French soldiers, under the command of General Lorencez, descended upon Mexico looking for a fight. Mexico was outgunned and set up for a battle that could end in the dissolution of their entire government, so the stakes were high. President Juarez instructed General Ignacio Zaragoza (pictured, top) to block the advance of the French forces in the forts of Loreto and Guadalupe near the city of Puebla. On May 5, Cinco de Mayo, 1862, Zaragoza and a mere 2,000 Mexican troops met Lorencez’s army in the battlefield. From dawn till dusk, guns blared. When the smoke of battle settled, 1,000 French soldiers were killed while fewer than 500 of Mexican soldiers lost their lives. The Mexicans triumphed at the battle on Cinco de Mayo, but the war was not yet won. Still, the battle represented a moral victory for Mexico against a better outfitted, better armed, better trained adversary, and that’s the big reason why the date is still celebrated today. 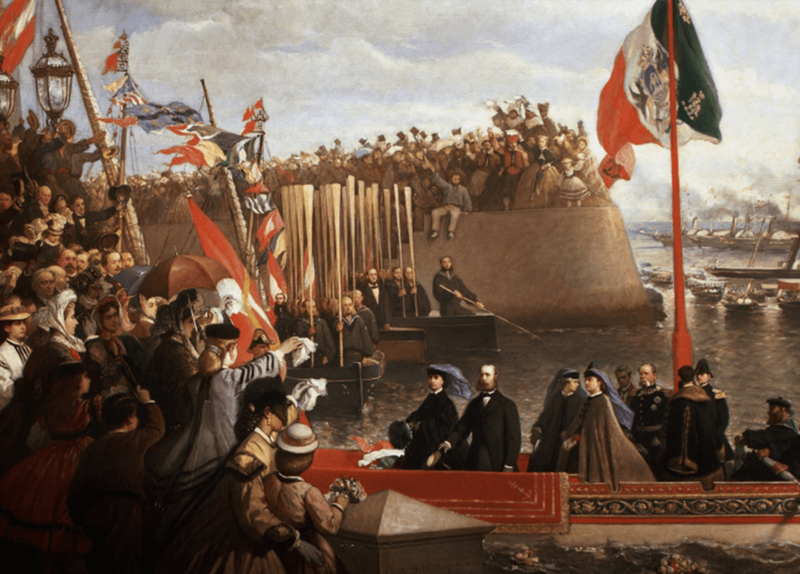 Meanwhile, Louis Bonaparte, the ambitious — some might say greedy — nephew of Napoleon I (the famous one), got together with allied Mexican conservatives like Miguel Miramon and Tomas Mejia to impose a European king in the country. By June 1864, Archduke Maximilian of Habsburg (pictured, left) was named monarch of the Second Mexican Empire, arrived in Mexico City to take his crown. As you can imagine, the Mexicans didn’t like this puppet monarch one bit. The Republicans, led by Benito Juárez, rejected the foreign intervention and took refuge in the north of Mexico with help from Californians and other Mexican-Americans. Luckily, the United States pressured France to get out of Mexico, and by 1867 they were all gone. Maximilian was helpless and ran to his former conservative allies, Miramon and Mejia, but it was too late. They were defeated in Queretaro and all three were dragged up the hill to be executed in the Hill of Bells. Mexico would not then, not ever, give up. Mexico has come a long way, from the heated standoff in the mid 1800s, and in remembrance of the Battle of Puebla, on May 5th we celebrate. So this year, as you go out to celebrate Cinco De Mayo, remember what this day stands for: drink for the lost souls, dance for the heroes and eat for the cause.